I believe learning is a life skill; when I reflect on why I believe that, it’s easy to make the connection from my own life experiences – my parents are both educators, the community and culture in which I grew up, placed a high value on education, and my own lifelong experiences with learning have been, for the most part, positive and meaningful. In a broader sense, education serves to develop our ability to learn, thereby allowing us to make informed decisions, build valuable skills, and adapt to the changing conditions in our environment. These outcomes, along with others, are all connected; they contribute to our abilities as individual learners to participate and thrive in our communities and in the greater context of society. Learning as a life skill provides us with a personal and individualized framework and perspective as we seek to make connections with what we know, what we think, and what we do. 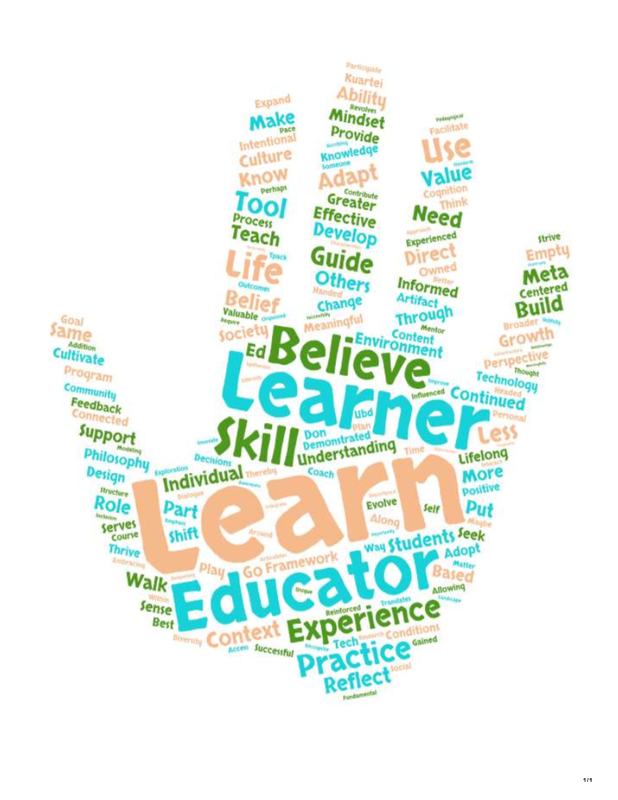 “I believe that students walk into a learning environment with their own knowledge, skills, and experiences, maybe they are less developed or less experienced, by I don’t believe they walk in empty-handed or rather ’empty-headed.’ At the same time, they need to be guided in this learning by more experienced individuals, someone [an educator, a mentor, a coach] who has more developed skills and knowledge to effectively guide them to learn. There is a ‘way’ (course design and structure) that I go about guiding students to learn, based on what I know about them, and how I believe they will learn best. However, my goal is to teach them to be intentional and effective learners no matter what the content” (Kuartei, 2015a). In addition, a fundamental understanding that I have gained about education and learning through this program, is that educators and learners must adopt a growth mindset. As educators have a deepening pedagogical understanding of teaching and learning, so must students have an expanding meta-cognitive approach to their own learning experiences. By ascribing to a growth mindset philosophy, I recognize the importance of modeling and practicing the characteristics of a lifelong learner. Then, by continuing to adapt and expand my own knowledge, understandings, and skills, I can support learners to do the same. I believe that learning should be “learner-centered, learner-owned, and learner-directed” (Kuartei, 2015b). By facilitating a learning environment that revolves around learners, I can better support their development and adoption of a growth mindset. My Philosophy of Adaptation is an artifact that synthesizes and articulates my research-based beliefs and understandings about learning, my role as an educator, and the greater landscape and context of education in which I believe learners can be successful. My emphasis and inclusion of technology in my practice is more than just an understanding of it as an effective learning and teaching tool, but also a belief that education should take place in a context in which it will be utilized. There is a very practical need for educators to integrate technology into learning; the society that learners live in today requires a certain degree of understanding and use of technology – whether simple or advanced. To effectively guide and support learners, educators must utilize technology to innovate and adapt within a challenging culture of change. An additional artifact is an Understanding by Design (UbD) plan that I created for a career exploration program. 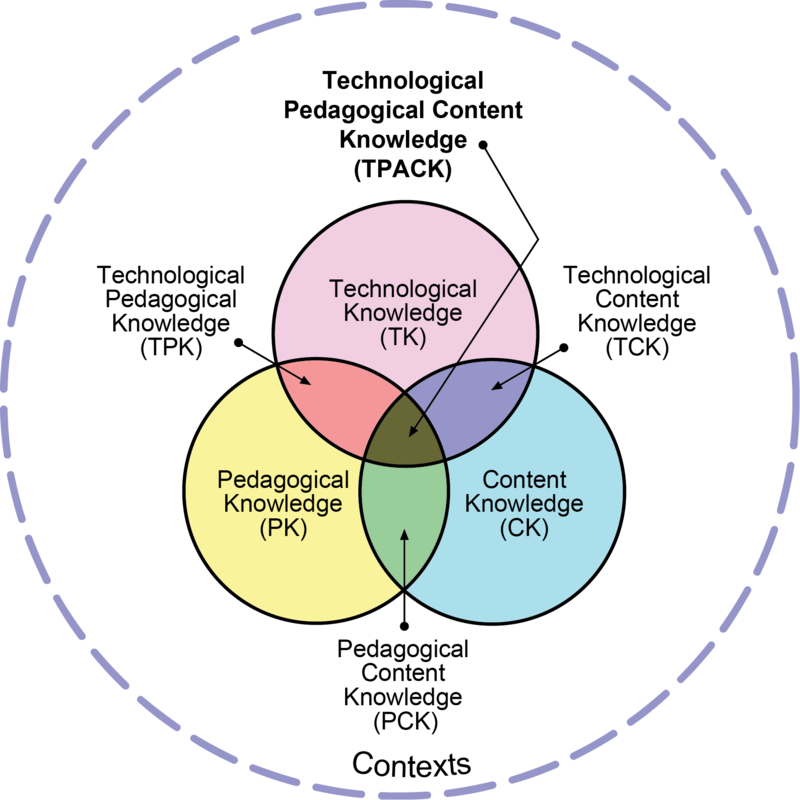 This artifact demonstrates my understanding of the use of technology in meeting content and technology standards as well as reflects my philosophy of education and how I believe learners should be supported to self-direct their learning. The continual process of feedback and reflection is evident in the UbD and I purposefully design and pace the learning experiences to ensure that learning is guided yet also learner-centered, learner-owned, and learner-directed. An artifact that demonstrates my proficiency in the relevant ISTE Standards (NETS-C) 1a, 1b, and 6c, would be a series of three (3) reflections about team meetings during a Givercraft project in the Fall of 2015. I collaborated with two instructors, Aleta May and Scott Roleff, in facilitating the project and training teachers to use MinecraftEdu with their students. The select journal entries reflect on my process and practice of giving and receiving feedback, evaluating progress, and examining my own practice in supporting learners (the Givercraft teachers). By documenting regular meetings, discussions, and planning sessions with my peers, I was able to capture my experience and build a comprehensive vision and plan for our teacher training course. I was also able to identify and address specific needs and interests of the teachers while supporting a community of learners to build consensus and determine clear processes for facilitating and moderating the shared MinecraftEdu game world. These journal entries also demonstrate that I effectively addressed the unique technology requirements and policies at each school and assisted teachers and IT staff to make informed decisions about the policies relevant to integrating a MinecraftEdu experience into their classrooms.